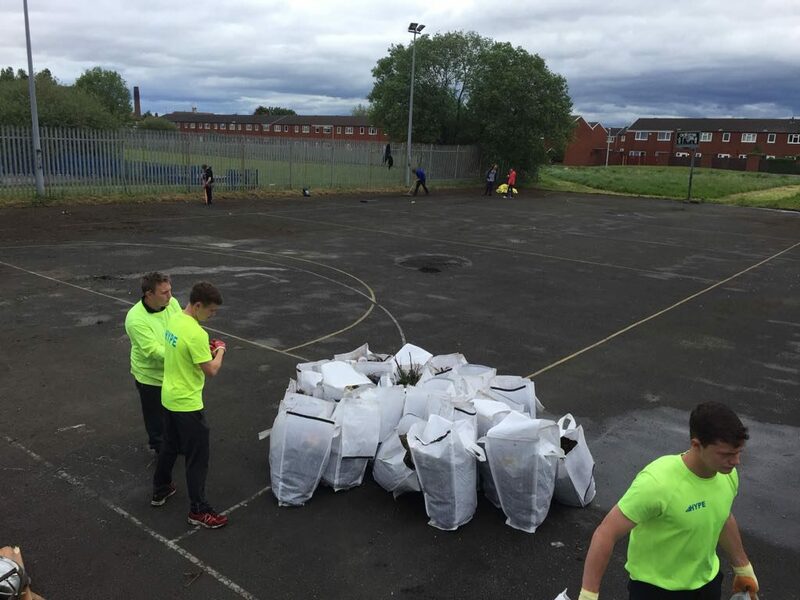 This Summer, with the help of lots of volunteers, HYPE have regenerated ’empty-spaces’ in communities across Merseyside. In total we have made a positive social impact on 9 areas from Birkenhead to Huyton! HYPE staff were lucky enough to have the help and support of several other organisations. We would like to thank LLoyds TSB, and NCS providers Catch22, Youth Fed, and Wirral Council for providing some fantastic volunteers this Summer. From NCS alone we had over 150 young volunteers! HYPE has managed the ‘Park Inner Park’ for 18 months now. Earlier this year we constructed an outdoor classroom, stage and nature trail. But we desperately needed help with the last (and most exciting!) element of this project- a bike track! With the help of some amazing NCS volunteers, our vision came together within just a few days! 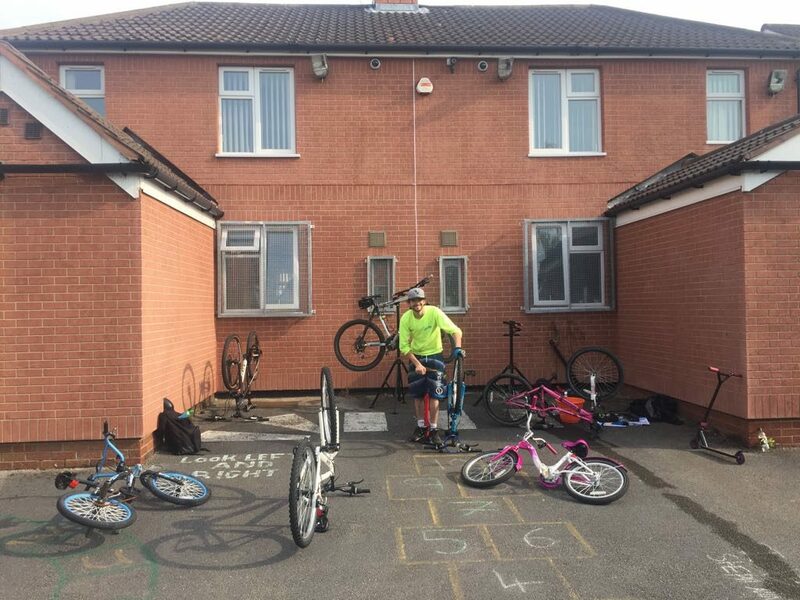 We are excited to put the bike track to use in future to teach local children cycling skills and balance. A big thank you to our hands-on volunteers- it wouldn’t have been possible without you! 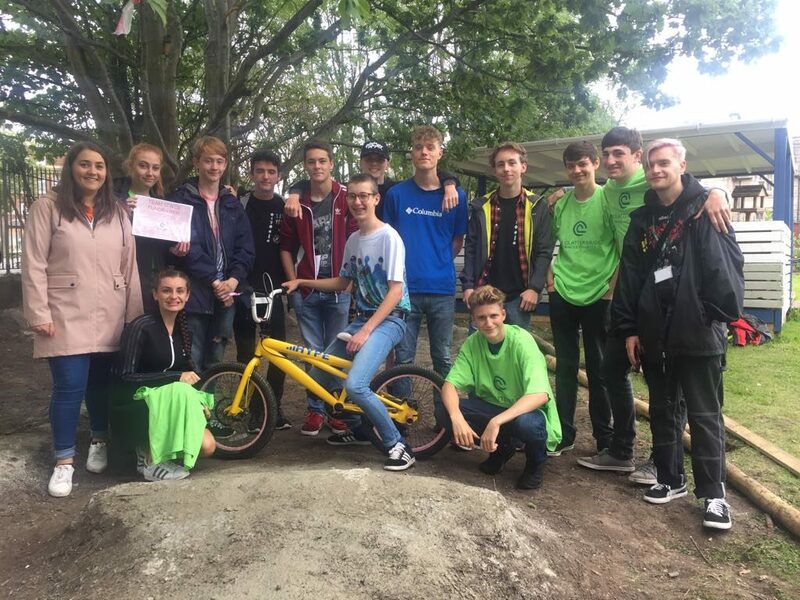 Two fabulous NCS volunteer groups based over in Liverpool City Centre decided to dedicate their ‘social action week’ to some garden redevelopment projects based in Huyton and Halewood. KGV sports centres garden certainly got a huge impact from the project and two large gardens have now been restored. In both cases the groups got stuck in overhauling neglected public spaces. 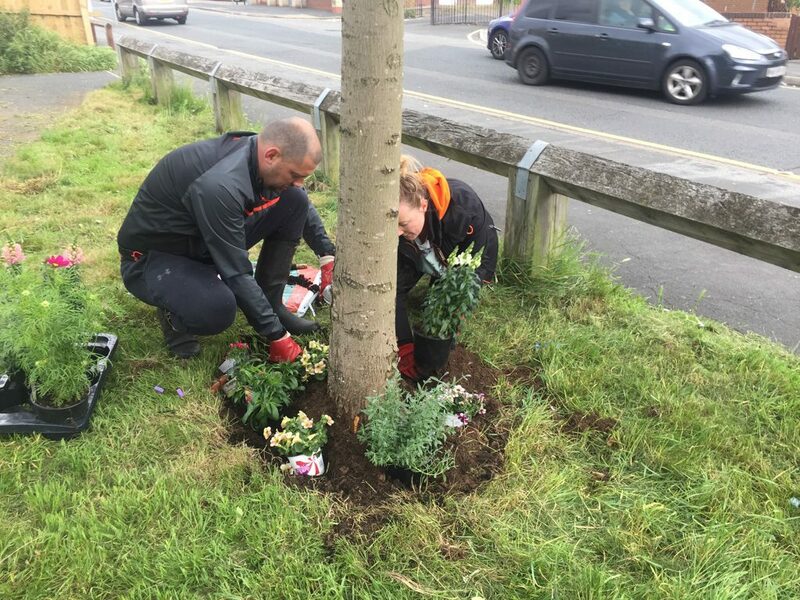 They fundraised money to buy new garden maintenance equipment and plants, got their hands dirty and showed some real community spirit! 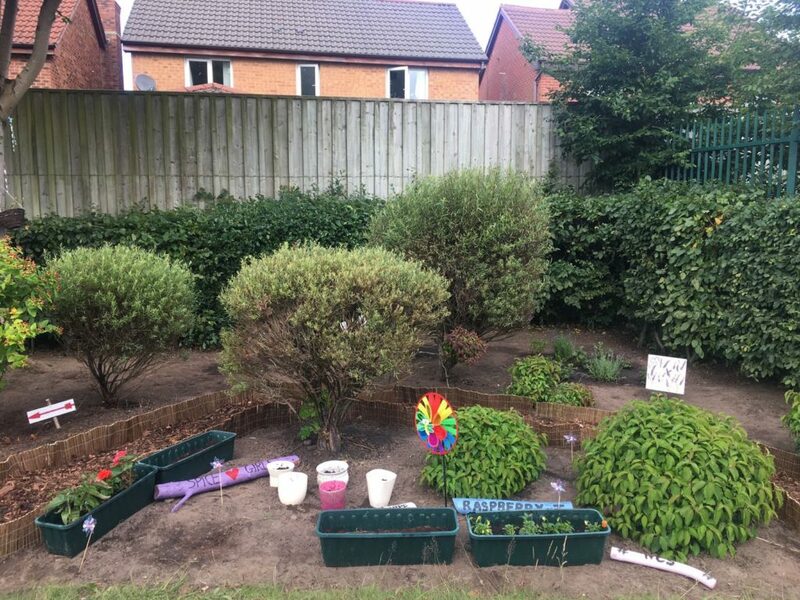 HYPEs social action project at St Paul’s in RockFerry has focused on a disused piece of land owned by Wirral Borough Council. The patch of land was an eyesore- overgrown, and covered in litter. With help from the local community HYPE staff members and the team from Lloyds TSB they litter picked the entire area, and pruned the existing trees. Following this, the team of volunteers brought in compost and created flower beds surrounding the tree trunks. Colourful bedding plants and flowers were picked, alongside lavender and small conifers to give the area a more attractive look. We would like to thank LLoyds TSB who generously provided 8 staff for this project, which helped us complete it in record time! In the centre of Woodchurch there is a community garden which was a former NCS project from a previous year. To further enhance the area, this summer’s team mapped out pathways so the local community could engage with the garden space. These paths were completed with woodchips, and bordered with small logs in order to encourage native wildlife. Future plans involve creating a small wildflower ‘meadow’ for local wildlife which may present educational opportunties in time. Moreton’s family Centre had a basketball court adjoined to it, but it was not a safe and welcoming space for the local young people. With the help of the community, HYPE has cleaned up the area, removing glass, weeds and litter. Now the court has been cleared it can be used again by Moreton’s young people, and become a newly regenerated community space. Hopefully in the future, the court markings will be repainted and the upkeep of the space will be led by the Moreton community. This project was based inside the Courtney Road youth club. The centre had fallen into disrepair, and needed drastic rejuvenation and a good lick of paint! The HYPE staff team went in and repainted walls, and went out into the back garden and weeded planters making it a space to be appreciated and enjoyed by the local community. In a few weeks the owners of the housing estate, Magenta, will be coming in to film with the local people and talk about how HYPE’s work in the community centre has benefitted them. We are excited to hear the results!